An anniversary gala was held last November in Kuujjuaq celebrated the 40th anniversary of the creation of Nunavik’s Makivik Corporation. 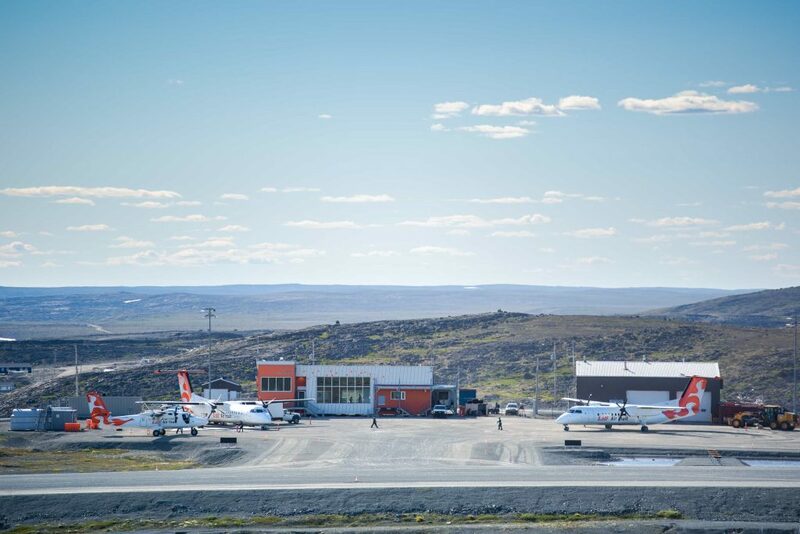 Incorporated on June 28, 1978, to administer the funds from the 1975 James Bay and Northern Quebec Agreement (JBNQA), Makivik’s current mandate includes the operation of business enterprises, the socio-economic development of Nunavik, and the protection of the Inuit language, culture and natural environment. William Tagoona, Makivik’s Communications Director and Political Advisor to the President, acted as host of the anniversary gala, held at the Katittavik Town Hall. 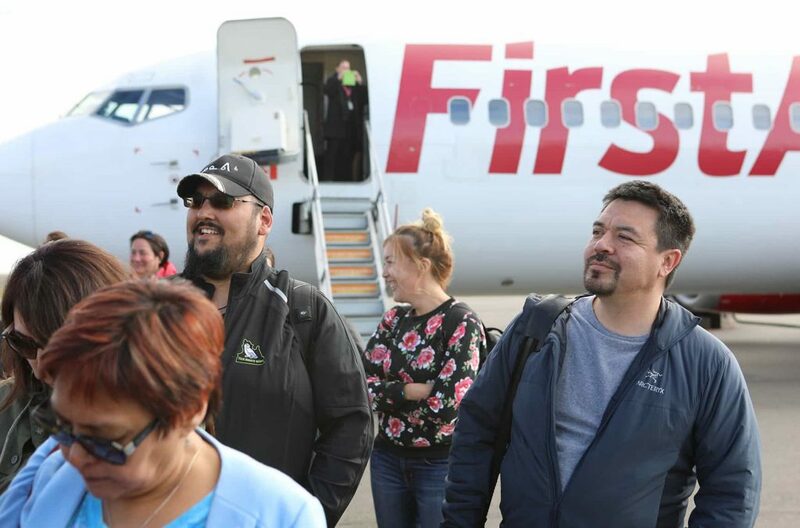 “The Northern Quebec Inuit Association (NQIA) initially negotiated the JBNQA, and began to invest some of the money until 1978,” Tagoona said. “About a million dollars came to the organization immediately. That was absolutely huge, so we had to create a corporation that would invest that money, and that’s how Makivik came to be. “We wanted to take our profits and reinvest them in the community and in our political work,” he added. The 40th anniversary gala also featured premiere screenings of two episodes from Makivik’s upcoming documentary series, Building the Inuit Homeland. Each episode focuses on a key event in Nunavik’s history, such as the resistance to the passing of Bill 101, or the negotiations to enshrine Aboriginal rights in Section 35 of the Canadian constitution. “Makivik was instrumental for the Inuit people in spearheading the constitutional recognition of our rights in Section 35. That was the turning point for so many of the things we’ve been able to accomplish since,” Tagoona explained. “At the time, the question of our rights was not even recognized, let alone not having any constitution to rely on,” said Charlie Watt, who served as Makivik’s first president from 1978 to 1982. Watt was recently re-elected as president of Makivik after 34 years in Canada’s Senate. During his time as senator, Watt founded the Standing Senate Committee on Aboriginal Peoples, and was the founder and first chairman of the Special Senate Committee on the Arctic. Makivik’s past presidents were also celebrated at the 40th anniversary event, and given a plaque acknowledging their service. In addition to Watt, they included Jobie Tukkiapik, Mary Simon, Mark R. Gordon (accepted by his daughter Judy), Pita Aatami, Simeonie Nalukturuk and Zebedee Nungak. The gala in Kuujjuaq also marked the unveiling of the Order of Nunavik medal, to be conferred upon Inuit men and women for outstanding achievement in different fields. The inaugural inductees included Charlie Tooktoo of Kuujjuarapik, Lazarusie Epoo of Inukjuak, Jacob Oweetaluktuk of Inukjuak, and Johnny Watt of Kuujjuaq. The original 11 Inuit signatories of the JBNQA were also given medals during the gala. They were: Charlie Watt, George Koneak, Johnny Williams, Zebedee Nungak, Putulik Papigatuk, Tommy Cain, Robbie Tookalook, Peter Inukpuk, Mark Annanack, Sarolie Weetaluktuk and Charlie Arngak. Special guests from Eeyou Istchee were present at the event. Grand Chief Abel Bosum, as well as JBNQA signatories Robert Kanatewat and Philip Awashish, each took the stage to voice their recognition of Makivik’s contribution to Aboriginal culture in Canada. William Tagoona remembered the bonds formed between Inuit and Cree leaders during the JBNQA negotiations in Quebec City. Philip Awashish was among those Cree negotiators.